Tight turns and cluttered aisles can be a problem in a cafeteria during high traffic time. 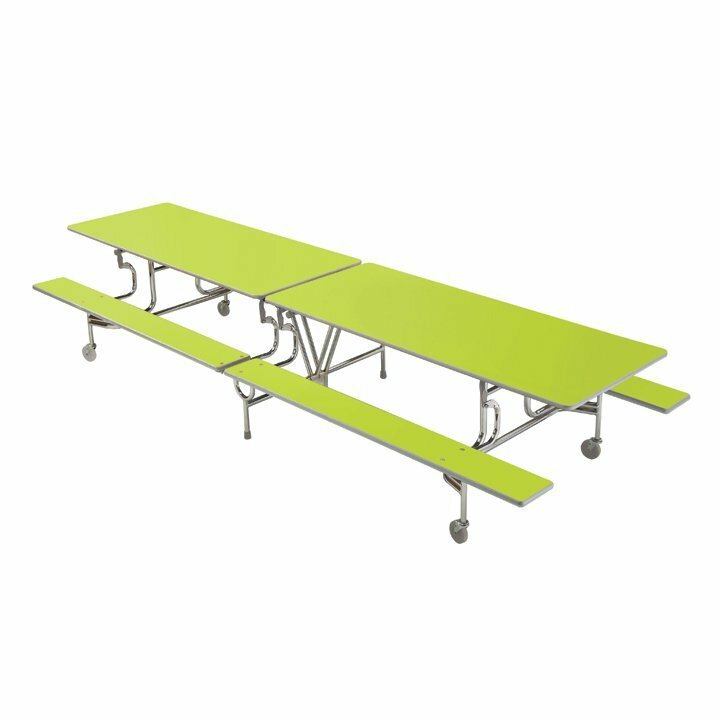 The SICO® BY-65 folding bench tables help relieve this congestion by maximising the space used and cutting down the amount of clutter in your food service area. 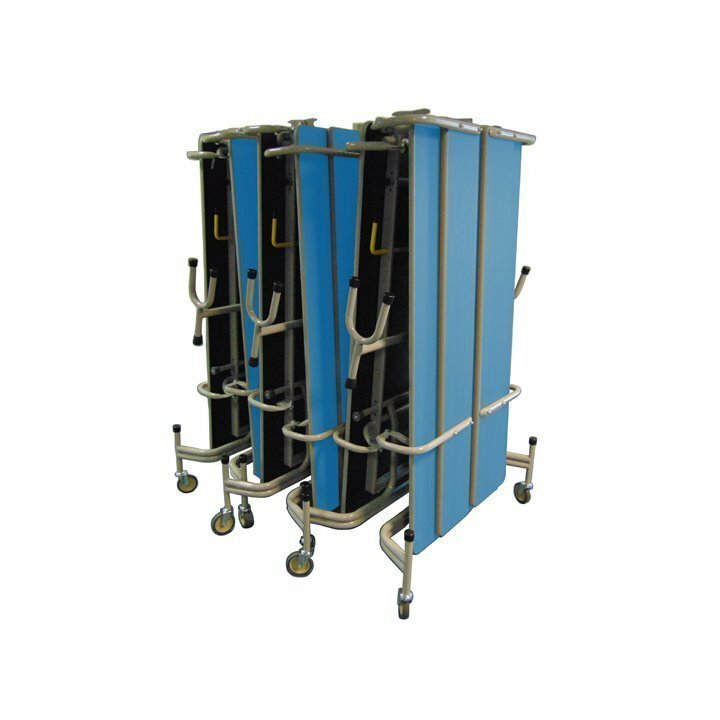 Reduce Your Cleaning Time and Reduce Labour! With an easy to operate flip up bench, the SICO® BY-65 unit makes floor clean-up easy, especially since you don’t have to move the entire unit. If you should need to move a SICO® BY-65, the unit easily rolls out of the way much faster than conventional tables and chairs. Other table units are big and bulky and take up a lot of room to store. SICO® BY-65’s nest easily for compact storage – taking 50% less space than others. They’re convertible, too! 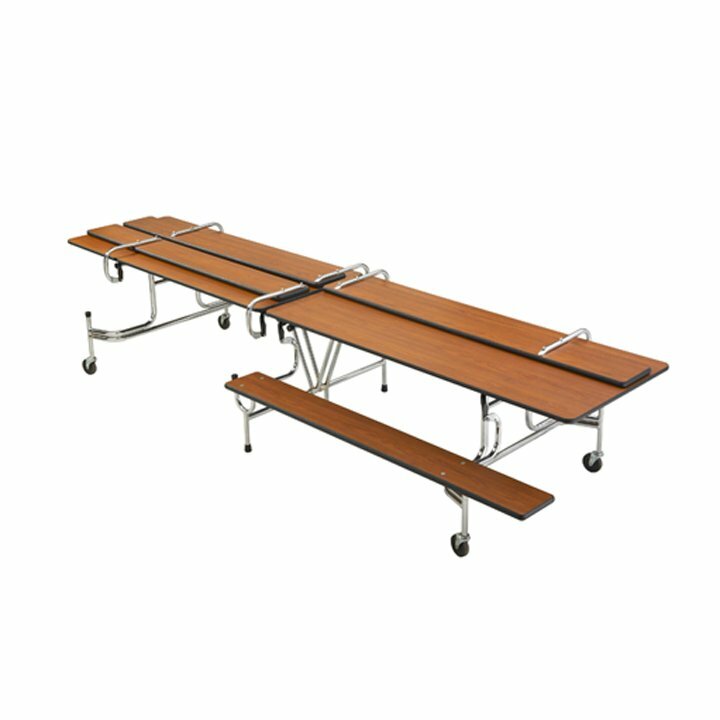 Remove the bolts in the benches so wheelchairs can be rolled up to a table, or to allow traditional chairs to be used. • The largest BY-65 unit can seat 20 primary age children or 16 adults. 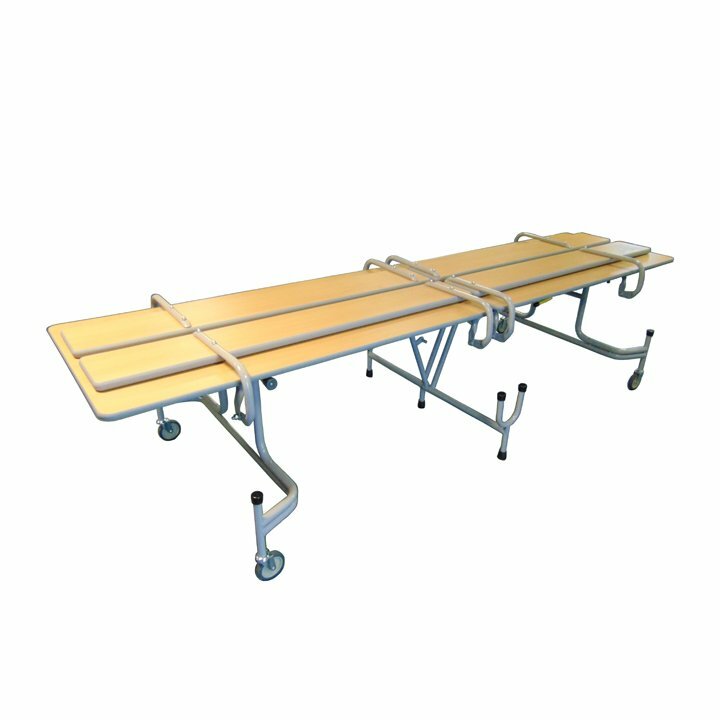 • Benches detach for easy wheelchair access. • 13mm centre gravity lock bar prevents the centre of the unit being raised if someone sits on an end; the bar is easily released from either side. • Benches flip up to make cleaning under the unit easy. • When nested together BY-65’s take up to 50% less space than most competitor tables. • 27mm thick MDF core supports up to a 455kg centre load on the benches. Heights: 635mm. 690mm & 740mm.